Getting Gorgeous with Degree was held on April 2, 2011, at the Metropolitan Pavilion in NYC, and what an amazing event it was. 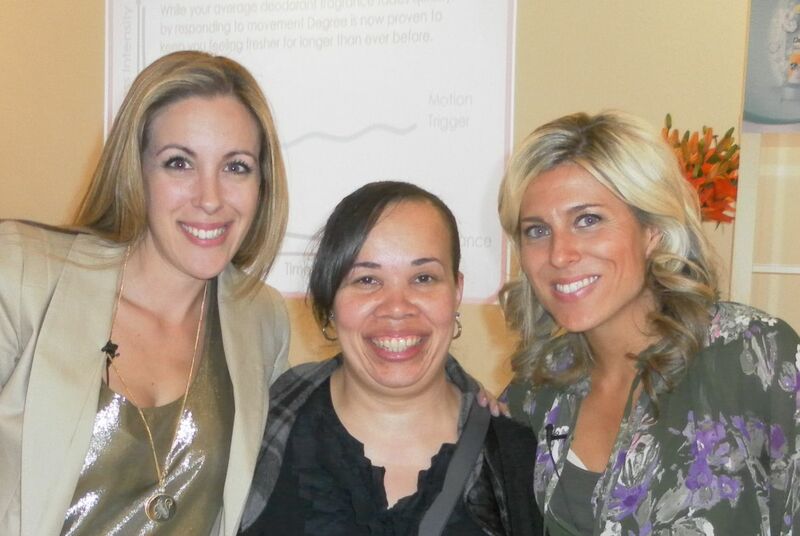 I went to the Getting Gorgeous Event last year during Blogher 10 and this year’s was just as amazing as last year! Vera Sweeney and Audrey McClellan are just two of the sweetest, caring, and sincere ladies that really know how to throw an amazing event in a fun atmosphere that makes their guest feel wonderful. Vera and Audrey greeted all of us throughout the event and wanted to make sure everyone was having a great time, they took pictures, and were just two of the most gracious hostesses ever. Getting Gorgeous with Degree was great, from the pampering by Hair Room Service by Michael Duenas, the hair tips and fun conversation from the always lovely and beautiful Sarah Potempa, my friends at Miraclebody, the great gals at FlipOut Sandels…I am loving my sandals, Degree Women, Tide to Go, Hanes, Simply Orange Juice, Dream Water, Goody Hair, Shopafrolic, Lifetime Moms, BJ’S Wholesale, Weight Watchers, Sandels Resorts, and Amy Tara Koch for her great style tips and yummy cupcakes that were given out at her booth, way to go Amy! Thank you to all of the great sponsors who were so generous to all of us, including Softlips, NYH Makeup, Restaurant.com, Wheat Thins, Secret Sleeves, Affresh, Nick Chavez and Rebecca P. Cohen. Thank you Vera and Audrey for making us all feel Gorgeous and Appreciated on April 2 at Getting Gorgeous! I look forward to your next Great Getting Gorgeous Event! Thanks again Vera and Audrey for including me again in Getting Gorgeous with Degree…Great Times, with Great People and Great Sponsors!!! *I was invited to the event and received a gift bag. As always all opinions my own.